The Scarsdale Schools Education Foundation has continued to make grants to support ducational innovation since its first three program grants in 2013 and the capital funding provided in 2016-18 for the construction of the Design Lab and Fitness Center at Scarsdale High School. 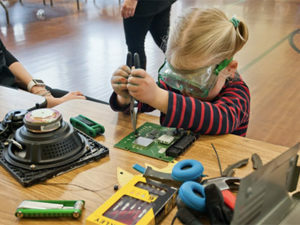 In Fall 2016, the Foundation awarded an $8,000 grant in support of the PT Council's STEAM Day. 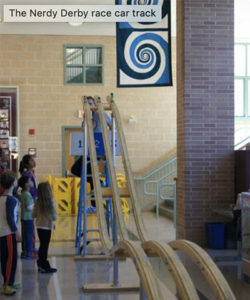 The grant sponsored the "Nerdy Derby" at the Saturday program for 4th to 8th graders. 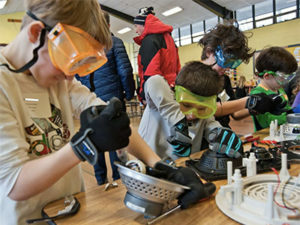 In Spring 2017 and again in 2018, grants of $1,000 a year were awarded in support of Heathcote School's HExpo -- an annual makerfaire organized by teacher Christine Boyer. In Fall 2017, the Foundation made a $15,000 grant for Student Entrepreneurship, to support Lisa Yokana's work in curriculum development for the three-year engineering sequence that is now housed in the new Design Lab. A report on the use of this grant and the resulting AT course in Entrepreneurship is presented below.